A shoulder dislocation is an injury that occurs when the ball of the ball-and-socket shoulder joint is separated from its normal position. The ball comes out of the socket of the shoulder. When this occurs, the ball may stay out of the shoulder and need to be put back into place, or it can slide back into normal position on its own. The shoulder joint is a ball-and-socket joint. The ball is on the top of the arm bone (the humerus), and this fits into a socket of the shoulder blade (the scapula) called the glenoid. The shoulder joint is incredible because it allows us to move our shoulder though an amazing arc of motion--no joint in the body allows more motion than the shoulder joint. Unfortunately, by allowing this wide range of motion, the shoulder is not as stable as other joints. Because of this, shoulder instability is not uncommon. A shoulder dislocation generally occurs after an injury such as a fall or a sports-related injury. About 95% of the time, when the shoulder dislocates, the top of the humerus is sitting in front of the shoulder blade--an anterior dislocation. In less than 5% of cases, the top of the humerus is behind the shoulder blade--a posterior dislocation. Posterior dislocations are unusual, and seen after injuries such as electrocution or after a seizure. A shoulder dislocation is often confused with a shoulder separation, but these are two very different injuries! It is important to distinguish these two problems because the issues with management, treatment, and rehabilitation are different. A shoulder separation occurs when the collar bone loses contact with the shoulder blade. Often these words are confused, and the injuries, and more importantly the treatment implications, are very different. Diagnosis of a shoulder dislocation is usually quite apparent just by talking to a patient and examining the joint. Patients must be examined to determine if there is any nerve or blood vessel damage. This should be done prior to repositioning the shoulder dislocation. X-rays should be obtained to check for any broken bone around the joint, and to determine the location of the shoulder dislocation. There are a number of choices about treatment of a shoulder dislocation, but the most important step is to properly reposition the joint, called reducing the dislocation. Once the shoulder is back in position, appropriate treatment can be determined. The most significant decision is to determine if surgery is necessary to repair the damage in the shoulder. When the shoulder dislocated, something in the shoulder was damaged in order to allow the shoulder to come out of position. 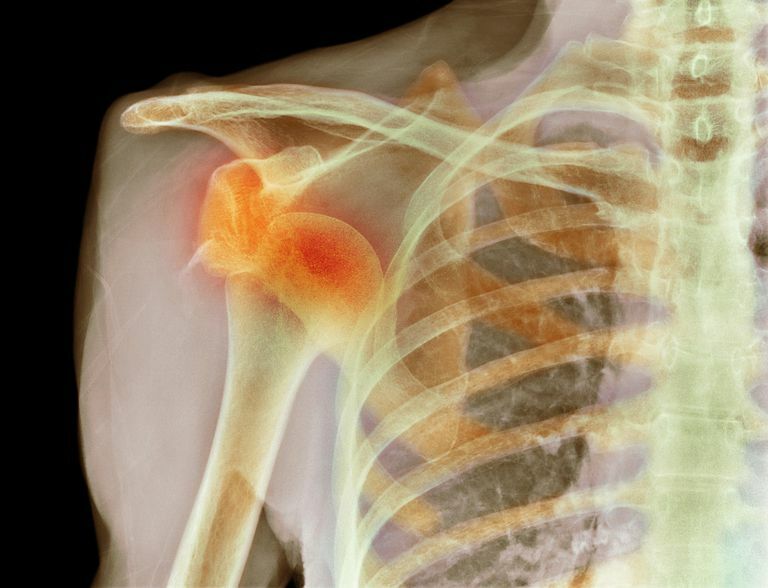 Repairing that damage may help prevent repeat dislocations of the shoulder. Your doctor can help you determine the best treatment for your situation. Lintner SA and Speer KP "Traumatic Anterior Glenohumeral Instability: The Role of Arthroscopy" J Am Acad Orthop Surg October 1997 ; 5:233-239. Can You Really Separate Your Shoulder? What Is Shoulder Instability and How Is It Treated?